Segment: East JCT Devil’s Backbone Trail (near JCT with Register Ridge Trail) to Summit to West JCT Devil’s Backbone Trail (Saddle with Mt. Baldy). Stats: East JCT Devils Backbone to Mt. Harwood: 0.2 miles, 340′ gain. Mt. 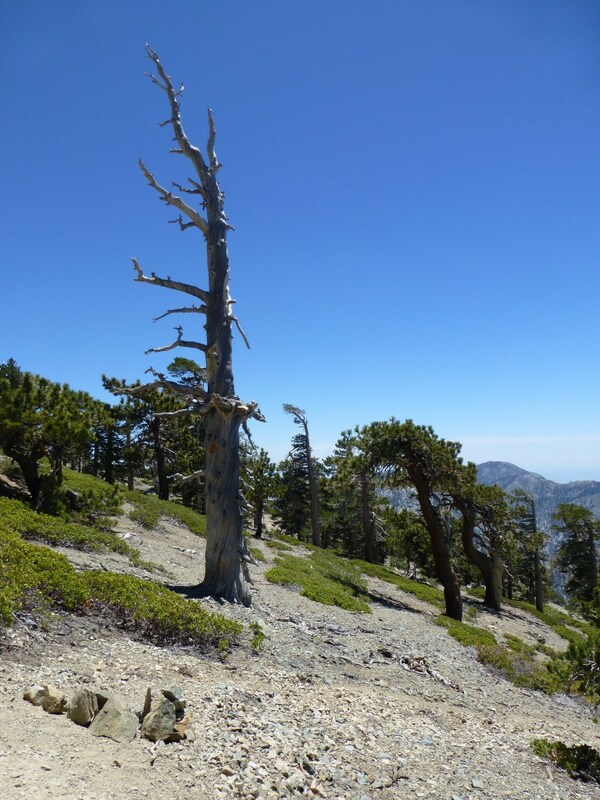 Harwood to West JCT Devil’s Backbone Trail: 0.3 miles, 270′ loss. Round Trip East JCT to Mt. Harwood to West JCT: 0.5 miles, 340′ gain, 270′ loss. Round Trip West JCT to Mt. Harwood to East JCT: 0.5 miles, 270′ gain, 340′ loss. 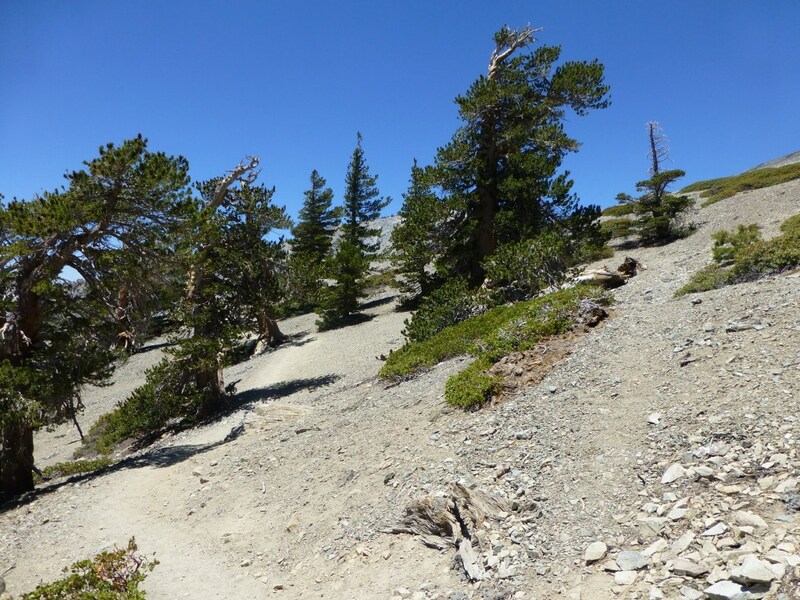 This trail is largely a scramble up scree to Mt. Harwood. There is a use trail a large portion of the way for guidance. The unmarked East Junction with the Devil’s Backbone Trail is a few steps east of the unmarked Junction with the Register Ridge Trail. For reference, below is a photo of the junction with the Register Ridge Trail. 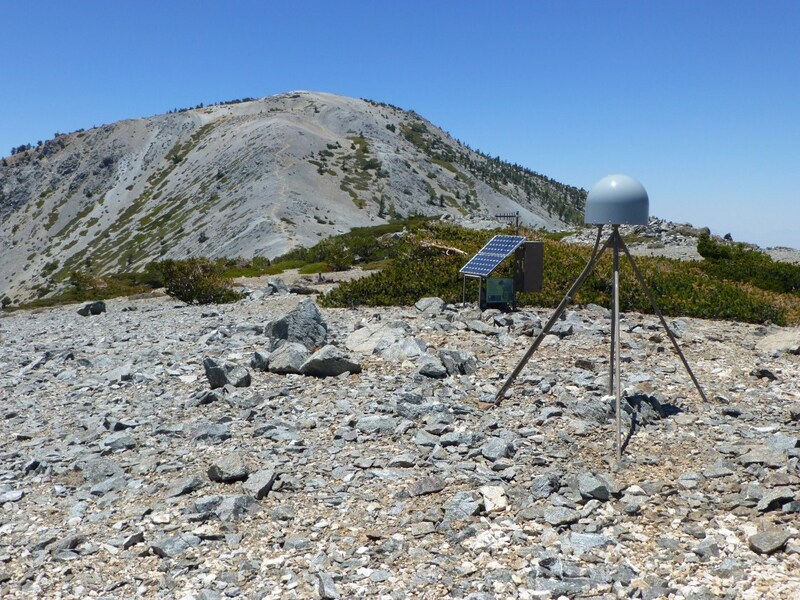 Close to the summit (along the west approach) is the Earth Scope Plate Boundary Observatory Station. 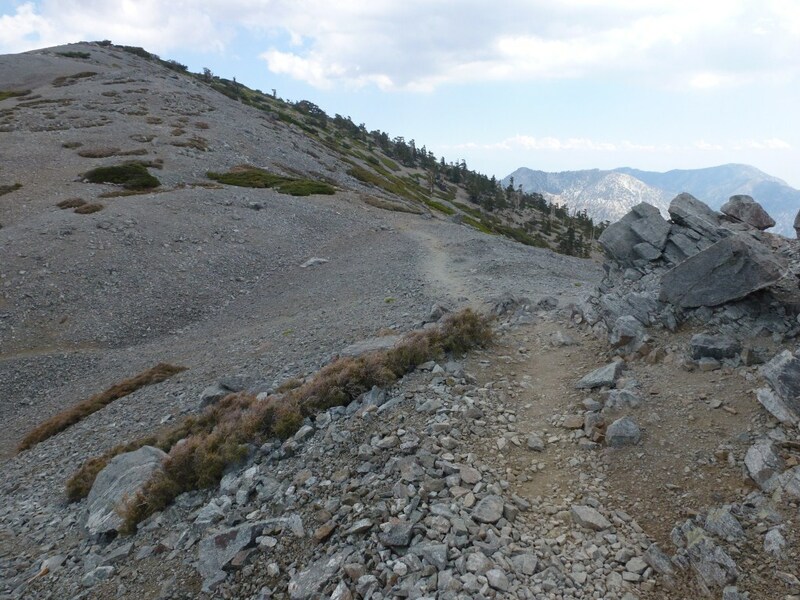 The path between the Observatory Station and the West Junction with the Devil’s Backbone trail is part use trail and part scramble through scree. View near west junction of Mt. Harwood Summit Trail. Note: pass the first use trail (coming in direction of heading down from Mt. Baldy) that heads slightly downward and north. The west junction is the second use trail (coming in the direction of heading down from Mt. Baldy. 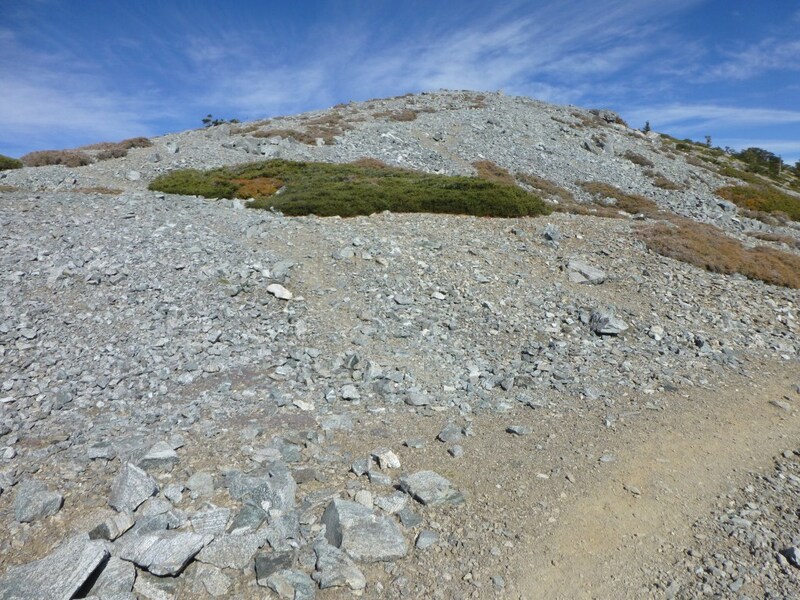 Head toward the summit and go around the green vegetation and there will be a combination of use trail and scree leading to the summit.